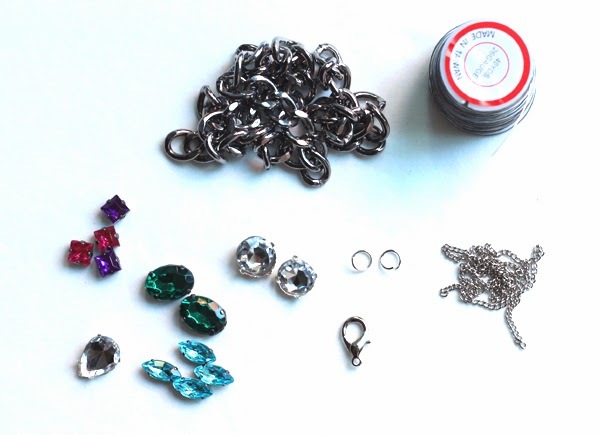 Here's a warm-up project after all that rhinestone inspiration. 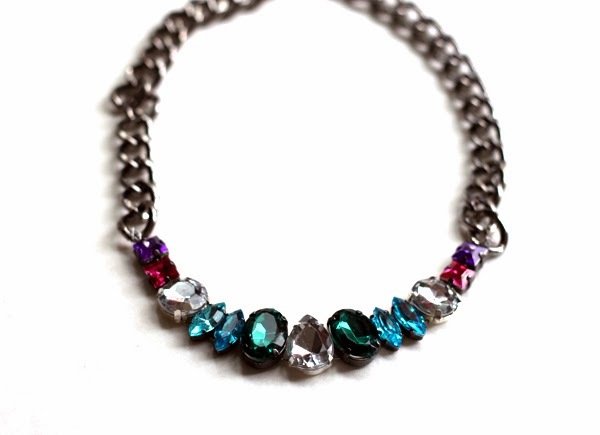 This multicolored jewel necklace was inspired by one I saw on Shopbop that looked doable. The inspiration was $165. Mine cost way less than $10. 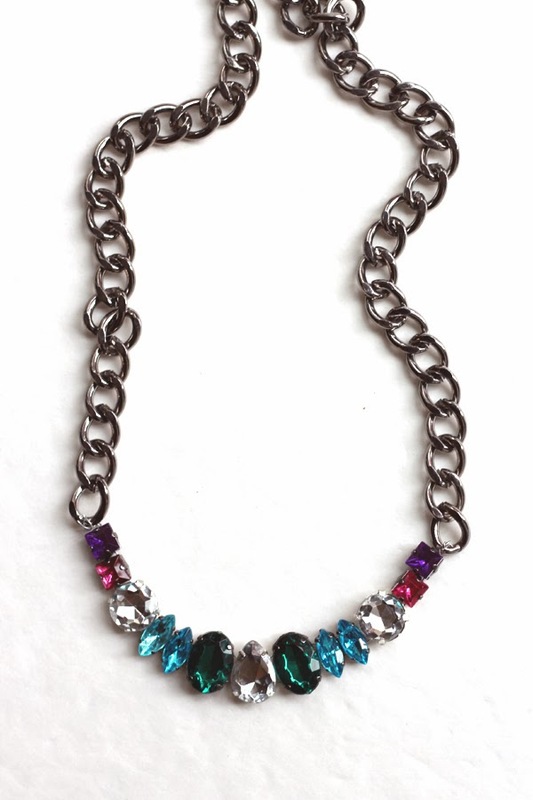 At first I wasn't keen on so many colors in one necklace, but it grew on me. It seems to work with autumn somehow. Also, you don't have to duplicate the original design. 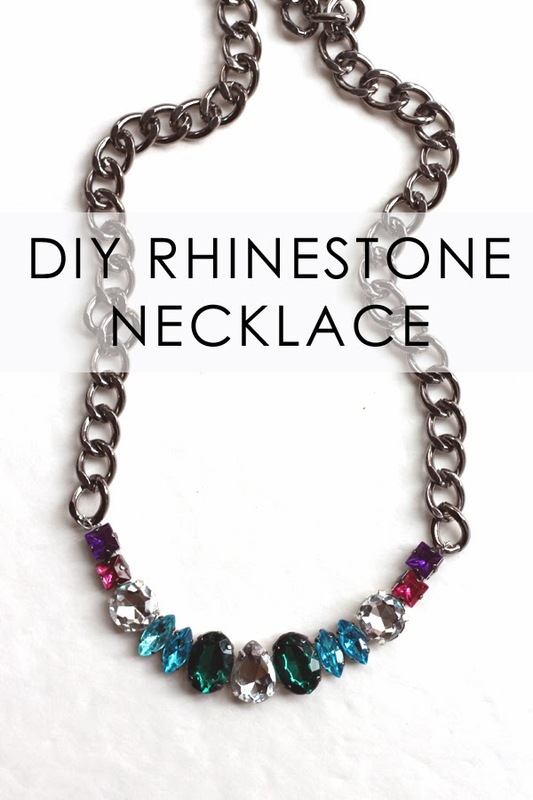 Use whatever colors, shapes and sizes of rhinestones you have on hand. Get the full tutorial at examiner.com. What a gorgeous necklace ... just stunning, you are so clever! Thanks. The colors turned out better than I expected. This is so pretty and I love the larger chain with the rhinestones. Just a heads up - I clicked on the link to the tutorial and was directed to the general site. I then searched for your tutorial and couldn't find it. Is it up yet? Yikes! That is so annoying. Thanks for letting me know. I think it is fixed now.